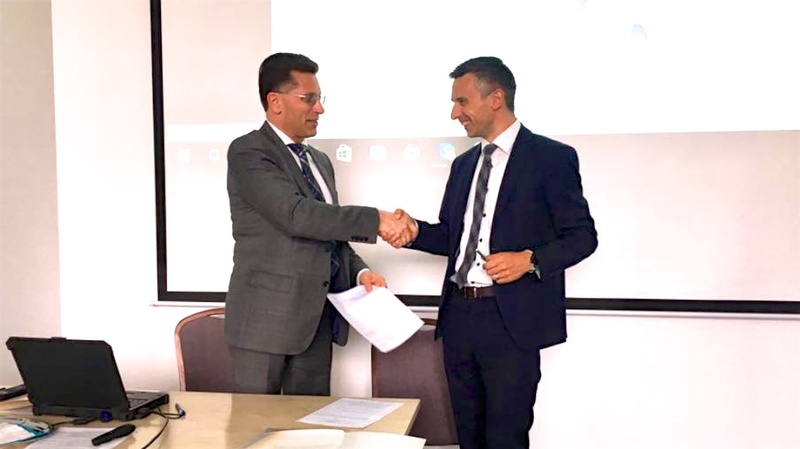 On 31st of May 2017, during the Cluster Forum, the Ministry of Economy and the Lithuanian Clusters Association signed a Letter of Intent on Collaboration in the Area of the Lithuanian Clustering. “With the signed Letter we will seek to ensure consistent and sustainable cluster operation, smoother work with the Lithuanian Clusters Association. I believe that collaboration will enable us to overcome challenges ahead and we will shift to more effective cluster operation “, said the Vice-Minister Ramūnas Burokas. In the document signed by the Vice-Minister R. Burokas and the President of the Lithuanian Clusters Association Dr. Laimutis Paškevičius, it was agreed to create a working group for formation of the Lithuanian clusters policy and its implementation as well as monitoring and ensuring evaluation, for preparation of program of forming the Lithuanian clusters policy and its implementation for the period of 2017-2020 as well as the mechanism of its monitoring and evaluation. It was also agreed to prepare the procedure for formation and implementation of the Lithuanian clusters policy, monitoring and evaluation of clustering development process and results. The President of the Lithuanian Cluster Association Dr. Laimutis Paškevičius noted that not only targeted and effective allocation of European Union funds and administration of projects are necessary for successful development of clusters in Lithuania. State support is highly significant in this stage – formation of clustering concept and policy, approval of action program and determination of long-term priorities. “By combining forces of the Lithuanian Clusters Association and the Ministry of Economy we hope for a breakthrough in the area of Lithuanian clustering. By working together we will be able to create a strategic document base, which will enable clusters to grow, good cooperation practice with state institutions, including agencies of the Ministry of Economy that allocate EU funds. Our common goals: growth of Lithuanian economy, increase of competitiveness and development of export in foreign markets”, – said Dr. L. Paškevičius. Approximately 50 clusters have formed by the Ministry of Economy applying European Union measures for clusters. Institution of science and study participates in the majority of these clusters (even 90%). Approximately 85% of all cluster operating in Lithuania are located in the largest cities of Lithuania: Vilnius, Kaunas, Klaipėda and Šiauliai. Most clusters operate in the area of information technologies and communication (12), health promotion and medicine (6), tourism (6), creative industries (6), engineering industry (5) as well as food and beverages (5) areas.